Product support for the PocketCloud & accompanying app. 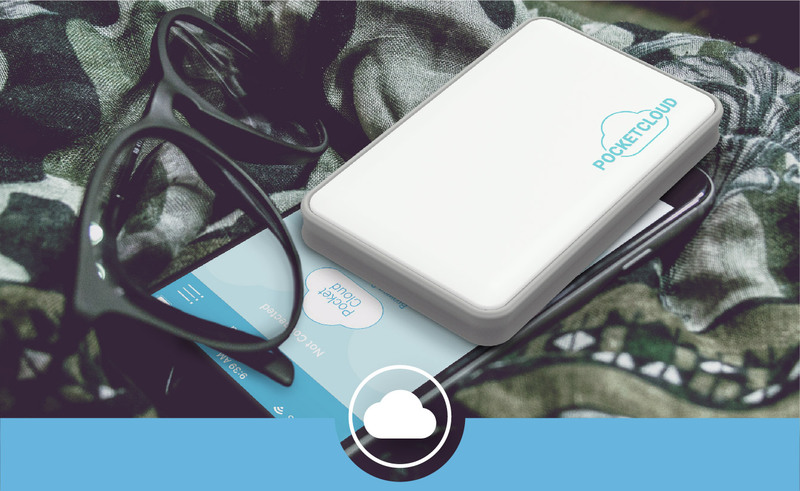 PocketCloud is a wireless external storage device for your phone or tablet. It can hold photos, videos, audio files and more. Up to seven people can connect to the PocketCloud simultaneously to view, save and share files. Free up space on your phone or tablet. Share photos & other files with friends & family. 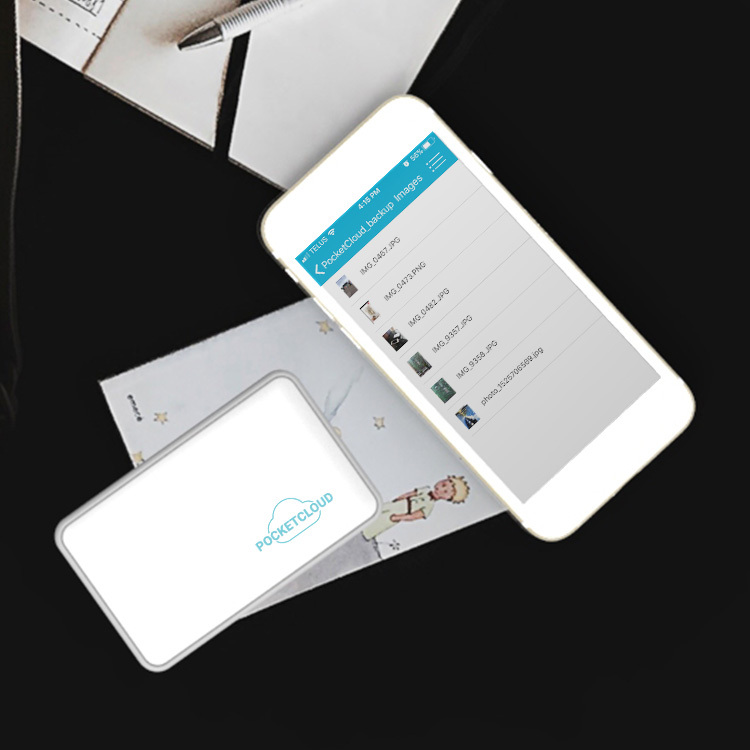 Backup your files to the PocketCloud to keep your memories safe. 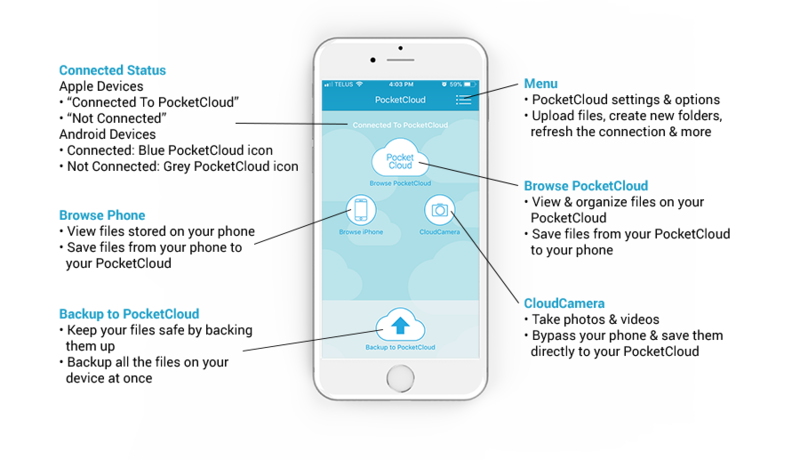 Take photos from within the app & bypass your phone or tablet to save them directly to the PocketCloud. Save files from your computer to bring them with you on the go. Always keep your most important files close at hand. A. Download the “PocketCloud” app from iTunes or Google Play. B. Turn the PocketCloud on by pressing the power button on the side of the unit. C. Go into the Wi-Fi settings on your device. D. Choose “PocketCloud” from the list of available Wi-Fi networks. E. Enter the password to connect to the PocketCloud. The default password is 12345678. This can be changed at any time. (See Advanced Section 9A.ii. (Apple) or 9A.iv. (Android) to learn how.) Important to note: This is disconnecting you from your standard WiFi network and connecting you to your PocketCloud network. To be connected to both, you can bridge your standard WiFi. (See Advanced Section 9A.i. (Apple) or 9A.ii. (Android) to learn how.) Up to 7 devices can connect to the PocketCloud simultaneously. F. Open the PocketCloud app. H. The app may ask for permission to access the files on your device. (If it does not ask for permission at this moment, it may ask later on when you click on one of the main icons on the home screen.) Tap “OK”. If you “Don’t Allow” you will get an alert when you try to use the app telling you that you have not given permission. If this occurs, you must go into the settings on your phone or tablet and give permission. PocketCloud is the perfect companion for your smartphone or tablet. Free up space on your device by wirelessly transferring files to PocketCloud. Once transferred to PocketCloud, they are no longer taking up space on your device and are still easily accessible using the app from your smartphone or tablet. Wi-Fi Mode is the default mode that your PocketCloud is in when it is connected to your device. This is the mode you must be in to transfer files to your PocketCloud from your device and vice versa. Important to note: The screenshots below depict the design of the PocketCloud app for Apple devices (iPhones/iPads). If you are operating this app on an Android device, there may be slight differences in the wording and graphics. Open the homepage of the PocketCloud app and tap the “Browse iPhone” or “Browse Android Device” icon. This gives you access to all of the files on your phone or tablet that are available to be stored on your PocketCloud. The app has default folders set up to help organize the media on your device that can be stored on your PocketCloud. There will be a default folder for music, videos, photos and files downloaded from your PocketCloud to your mobile device. Tap on the folder you want to open. Apple Users: Tap the menu button in the top right corner of the screen and tap “Select”. Tap “Select All” or select the individual files you want to move. Android Users: Tap the “Select Files” button at the bottom of the screen to select files manually. Tap the menu button in the top right corner of the screen and tap “Select All” if you want to select all of the files. Files can also be saved from the PocketCloud to your mobile device. 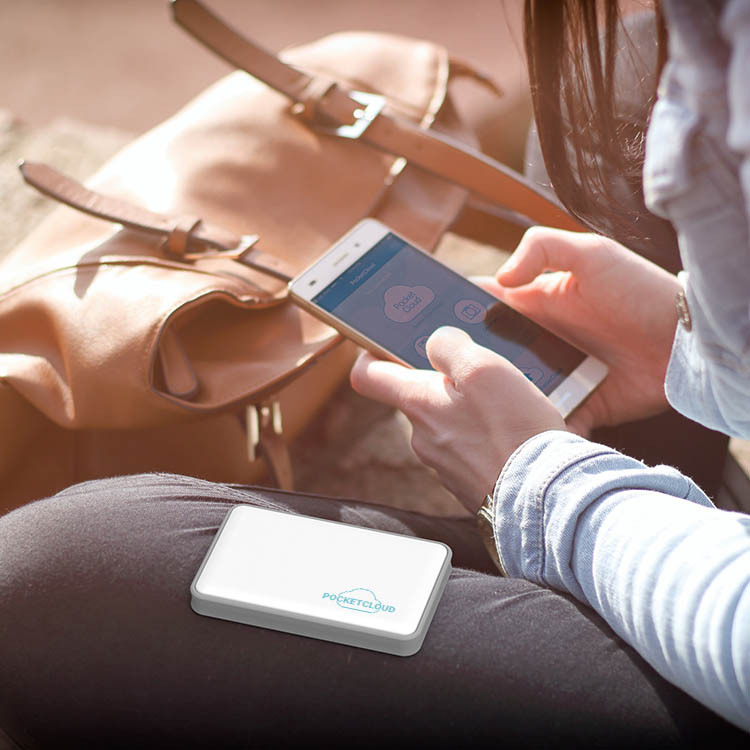 Up to seven devices can be connected to the PocketCloud simultaneously, making PocketCloud the easiest way to share photos and videos with family and friends. Open the homepage of the PocketCloud app and tap the “Browse PocketCloud” icon. This gives you access to all of the files on your PocketCloud. 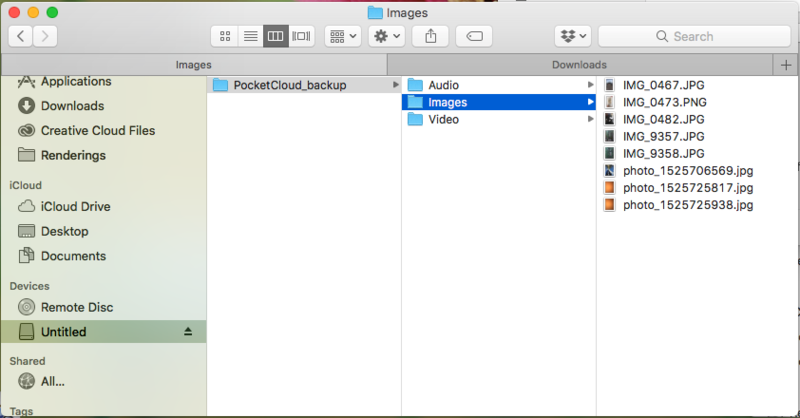 The app has a default folder set up called “PocketCloud Backup” for the files that have been saved onto the PocketCloud. Tap on this folder and you will have access to the default folders for audio, videos and images saved on your PocketCloud. Once you have entered the folder of the media you want to view or save, you will see a list of all of your files. Tap the menu button in the top right corner and tap “Select” (Apple) or tap “Select Files” at the bottom of the screen (Android). You will now have the option to copy the files, rename them, save them and more. See Advanced Section 9C (Apple) or 9B (Android) for a breakdown of the different options in the “Browse PocketCloud” menu. One you have selected the files you want to download to your device, tap the menu button. Tap “Download” and the files will be saved to the default location on your device for that file type. A. The PocketCloud also allows you to save files to and from your computer. This can be done in Transfer Mode. B. Turn the PocketCloud on. C. Plug the included micro USB cable into your PocketCloud and connect it to a computer or laptop. D. Press the power button on the PocketCloud once to switch from the standard WiFi Mode to Transfer Mode. You will know you are in Transfer Mode because the centre light will illuminate with white light. E. On your computer, the PocketCloud will appear as a device just like a standard USB drive. You can view the files that are saved on your PocketCloud, as well as save them to your computer. You can also drag and drop files from your computer onto your PocketCloud. CloudCam is a feature in the PocketCloud app that allows you to take photos and save them directly to the PocketCloud. 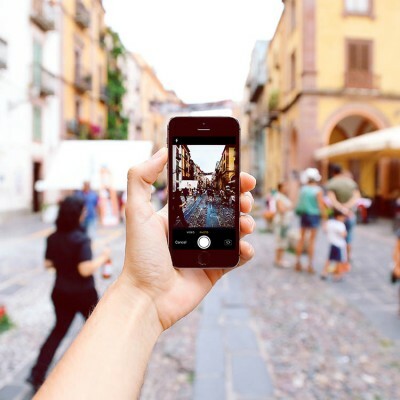 With the CloudCam, the photos bypass your device completely, saving space on your device and eliminating the step of transferring photos to your PocketCloud later. 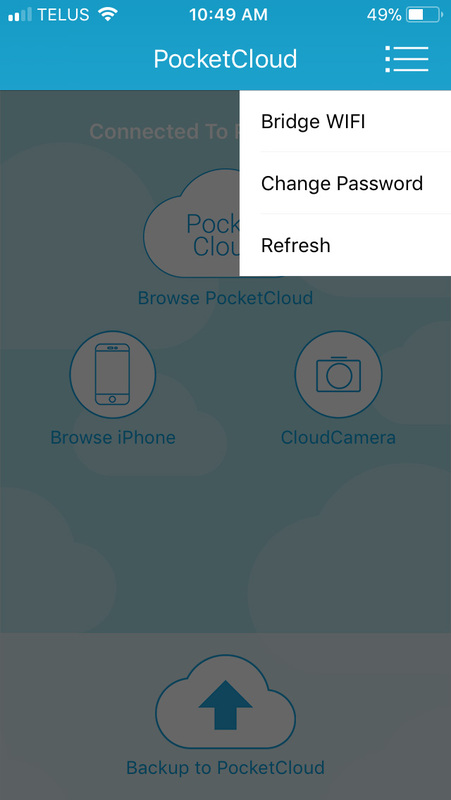 Open the homepage of the PocketCloud app and tap the “CloudCam” icon to open the camera. Use the camera to take a video or photo. On and Android, the photo will save directly to your device’s photo gallery. On an Apple device, once you have taken the photo, you will have the option to either retake or use the photo or video. Tap “Use Photo” and the photo will be saved directly to your PocketCloud. i. Download the “PocketCloud” app from iTunes or Google Play. i. Turn on your PocketCloud by pressing the power button on the side of the unit. ii. The battery light (leftmost of the three lights on the side of the PocketCloud) will illuminate green and the WiFi light (rightmost of the three lights) will light up blue. i. Open the WiFi settings on your device. ii. Choose “PocketCloud” from the list of available networks. Important to note: This is disconnecting you from your standard WiFi network and connecting you to your PocketCloud network. To be connected to both, you can bridge your standard WiFi. (See Advanced Section 9A.i. (Apple) or 9A.ii. (Android) to learn how.) Up to 7 devices can connect to the PocketCloud simultaneously. iv. Open the PocketCloud app. vi. 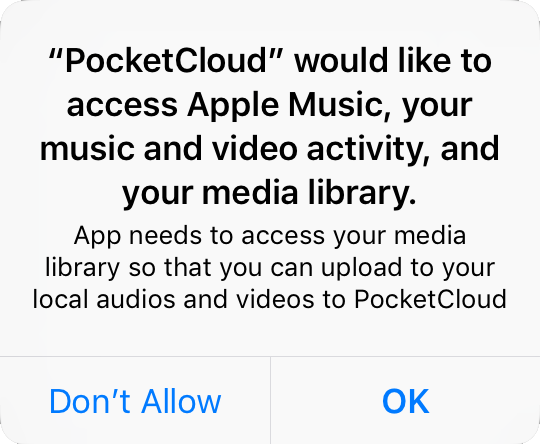 A window may pop up to ask for permission for the PocketCloud app to access the files on your device. This window may pop up when you first open the app, or may pop up later on when you tap on a home screen icon or folder. • (Android Only) Clear Cache: Tap the menu button in the top right corner of the home screen. Tap “Clear Cache”. • Refresh the connection: Tap the menu button in the top right corner of the home screen. Tap “Refresh”. • Restart the app: Force close and re-open the PocketCloud app. • Reconnect the WiFi: Enter your WiFi settings and disconnect from the PocketCloud WiFi. Turn the WiFi off for about a minute and then turn it back on. Re-connect to the PocketCloud WiFi (See Advanced Section 1C to learn how). i. On the side of the PocketCloud there is a small hole. ii. Insert a paper clip (or another slim object) into the hole and press until you feel a click. Remove the paper clip. iii. Press the power button to turn the PocketCloud back on. i. Press and hold the power button on the PocketCloud for approximately 10 seconds. ii. Once you let go of the power button, the battery light will flash green twice and all three lights will turn off to indicate the PocketCloud is off. A. What is WiFi Mode? • View files on your PocketCloud. • Up to 7 devices can connect to the PocketCloud simultaneously via WiFi. • Free up space on your device by saving files to the PocketCloud and deleting them from the device. • Make sure all of your files are safe by backing them up on the PocketCloud. i. Turn the PocketCloud on by pressing the power button on the side of the PocketCloud. ii. The PocketCloud will automatically be in WiFi Mode. • You can only be in one mode at a time. Switch from WiFi Mode to Transfer Mode by plugging your PocketCloud into a computer and pressing the power button once. The Transfer Mode light will illuminate white. • To switch from Transfer Mode back to WiFi Mode while your PocketCloud is plugged in, press the power button once again. The Transfer Mode light will turn off. 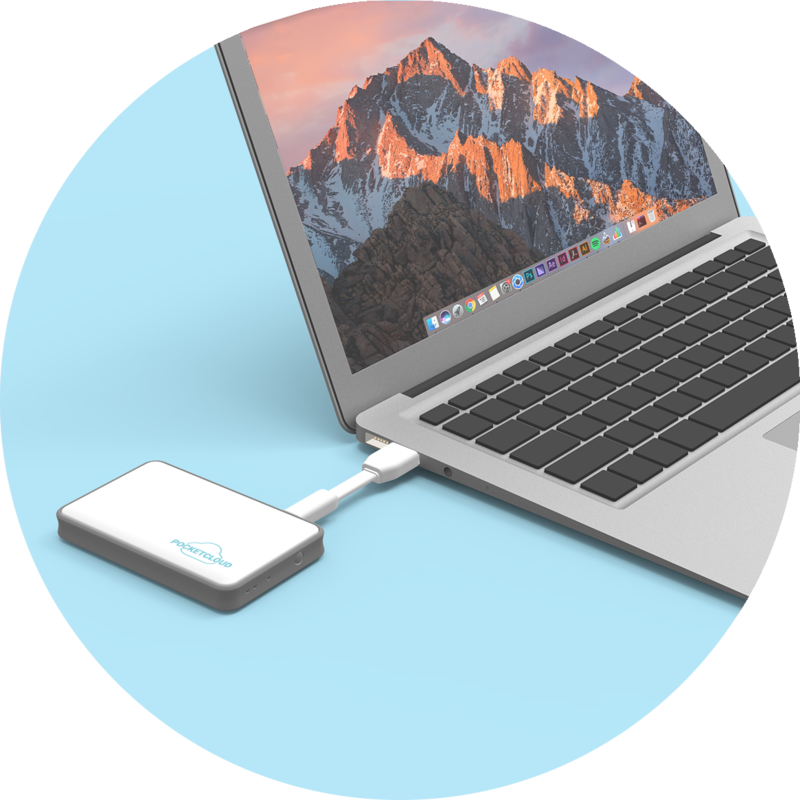 • Once you unplug the PocketCloud from your computer, it will automatically switch back to WiFi Mode. A. What is Transfer Mode? Transfer Mode is the mode that you must be in when you want to use your computer with your PocketCloud. • Save files from your PocketCloud to your computer. • Backup files from your computer to your PocketCloud. • Easily save files on the PocketCloud from your computer so that you can share them with others later in WiFi Mode. • View files on your PocketCloud on a larger screen. • Organize the files on the PocketCloud quickly. i. While powered on, plug the PocketCloud into a computer via the micro USB to USB cable. ii. Press the power button on the PocketCloud once. iii. The Transfer Mode light (centre light on the side of the PocketCloud) will illuminate white to indicate that Transfer Mode is on. • The “Browse iPhone”/”Browse Android Device” section lets you look through all of the files on your device that are compatible to be saved on the PocketCloud. • This includes photos, audio files, videos and more. i. Open the PocketCloud app. ii. Tap the “Browse iPhone” or “Browse Android Device” icon. iv. Tap the folder of the media you want to browse. This brings you into the folder so you can see all of the available files of that type that are on your device. v. Tap the individual files to view them at full screen and click or swipe through them. i. Follow Step B. Viewing Files on Your Device i-v.
ii. Tap the menu button in the top right corner of the screen. iii. Apple Users: Tap the menu button in the top right corner of the screen and tap “Select”. Tap “Select All” or select the individual files you want to move. iv. 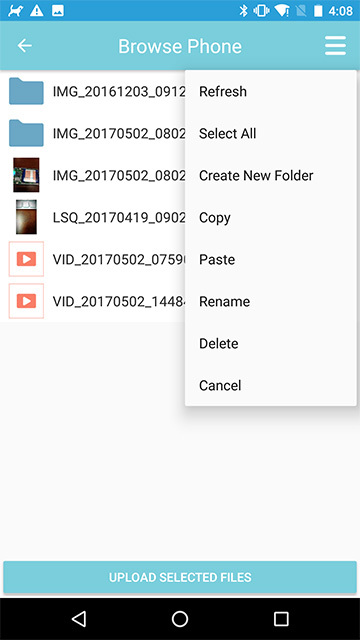 Once you have selected all of the files you want to save, tap the “Upload Selected Files” button on the bottom of the screen (Android) or tap the menu button and then tap “Upload” (Apple). The files that you save to your PocketCloud will still be on your phone or tablet. If you want to delete the files from your phone or tablet, this has to be done outside of the PocketCloud app. v. The app will automatically bring you into the Browse PocketCloud section. vi. Select the folder that you want to save the file in. • Browse PocketCloud lets you look through all of the files that have been saved on your PocketCloud. iv. Tap the folder of the media you want to view. This brings you into the folder so you can see all of the files of that type that are on your PocketCloud. iv. Once you have selected all of your files, tap the menu button then tap “Download” (Apple) or tap the “Download Selected Files” button at the bottom of the screen (Android). v. The files that you save to your device will still be on your PocketCloud until you delete them (if desired). To see the files, exit the PocketCloud app and go into the applicable music/photo/video/etc storage app. iv. Tap the menu button again. ii. Apple Users: Tap the menu button in the top right corner of the screen and tap “Select”. Tap “Select All” or select the individual files you want to move. iii. 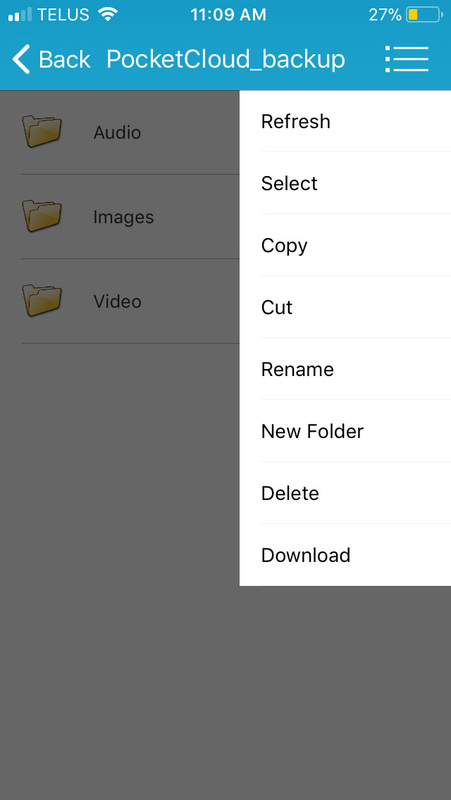 Tap the menu button and tap “Copy” if you want to keep a copy of the file in its current folder and add a duplicate to another folder. iv. Apple Users: Tap “Cut” if you want to remove the file from this folder and put it in another folder. v. Once you have tapped “Copy” or “Cut”, select the folder you want to place the files in. vi. Apple Users: Tap “Done” to finish moving the files. Android Users: Tap the menu button then tap “Paste” to finish moving the files. i. To share files with other devices using the PocketCloud, you must first save the files to the PocketCloud. • To save files from your device to your PocketCloud follow Step B. Viewing Files on Your Device i-v and Step C. Saving Files from Your PocketCloud to Your Device i-vii. • To save files from your computer to your PocketCloud see Advanced Section 6. 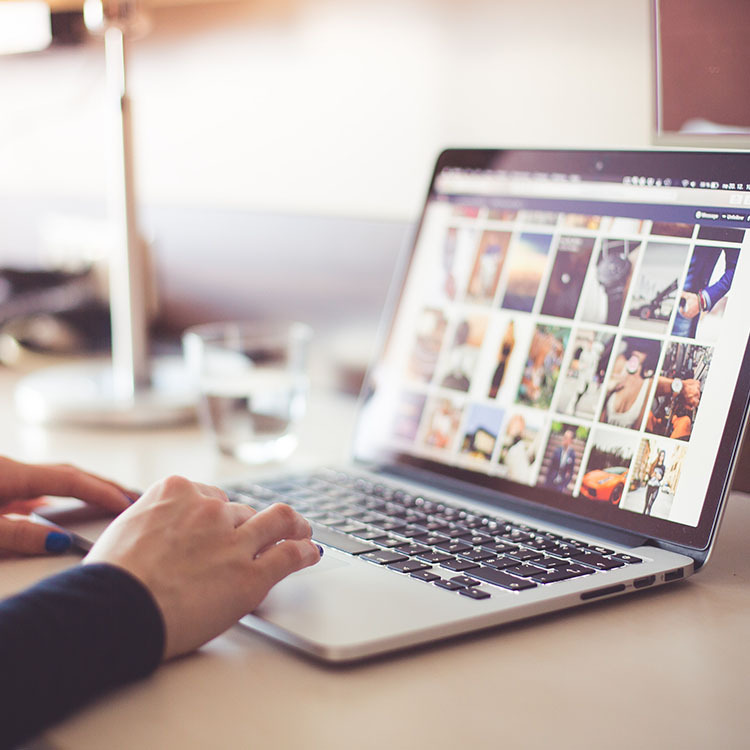 Not only can your PocketCloud connect to and transfer files with your mobile devices, it can do the same with a computer or laptop. i. Turn the PocketCloud on by pressing the power button on the side of the unit. ii. Plug the micro USB end of the included cable into your PocketCloud. iii. Plug the USB end of the cable into your computer’s USB port. iv. Put the PocketCloud in Transfer Mode (see Advanced Section 3C to learn how) by pressing the power button once. The Transfer Mode light will illuminate white. v. Once Transfer Mode is turned on, WiFi Mode is automatically turned off and you will not be able to view PocketCloud files through the app until WiFi Mode is back on. i. Follow Step B. Connecting Your PocketCloud to Your Computer i-v.
ii. Your PocketCloud will show up on your computer as a device (it will appear in the same location as a standard USB would). This location varies depending on your computer or laptop model. i. Follow Step B. Connecting Your PocketCloud to Your Computer i-iv. ii. Follow Step C. Viewing PocketCloud Files on Your Computer ii-iv. iii. You can now drag and drop (or manually save) files from your computer into the folder of your choice on the PocketCloud. iv. You can also copy or move files from the PocketCloud to your desktop or other folders on your computer. • You can organize the files on your PocketCloud through your computer. • Some people may choose to organize their PocketCloud files this way if they prefer working on a larger screen or with a computer keyboard. • Create new folders as well as rename folders and individual files. CloudCam allows you to take photos and videos from within the PocketCloud app and save them directly to the PocketCloud. This helps save space on your device and eliminates the step of transferring the photos from your device to your PocketCloud. ii. Tap the “CloudCamera” icon. iii. Use the CloudCam like you would use your device’s standard camera. iv. Apple Users: Once you have taken your photo or video, you can choose to “Retake” or “Use Photo”. v. Apple Users: Tap “Retake” to go back to the camera without saving the image you just took. vi. Apple Users: Tap “Use Photo” to save the photo directly to the default images folder on your PocketCloud. vii. Android Users: Once you have taken your photo or video, it will save directly to your device’s photo gallery. • Creates a back-up copy of all of the compatible files on your device and saves them to the PocketCloud. • All videos, photos and audio files will be automatically selected and saved. 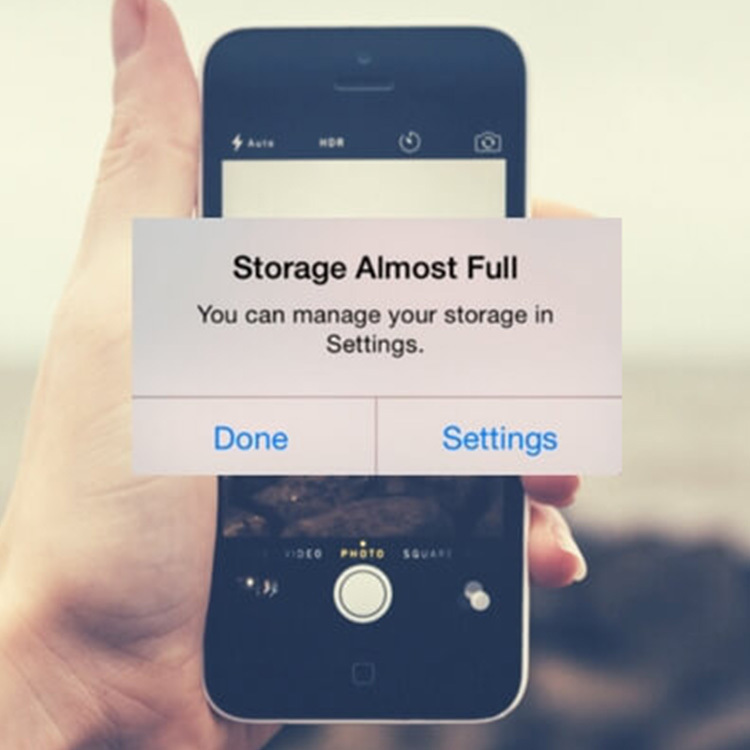 • Important to note: Backing up your phone or tablet can take multiple hours depending on how many files are being backed up, it is best to do this during a time where you will not be needing your device (ex. overnight). ii. Tap “Backup to PocketCloud”. iii. The backup immediately starts. iv. A window will pop up to show you how many files are being backed up and which file is being backed up at that time. i. While your files are being backed up on the PocketCloud, tap anywhere on the app screen. ii. The “Interrupt backup?” menu will pop up. If you would still like to use your PocketCloud app while your device is backing up, you can run the backup in the background of the app. i. While your device is backing up, tap anywhere on the screen and the “Interrupt backup?” menu will pop up. ii. Tap “Background Transmission” and a USB icon will pop up in the bottom right corner of the app’s home screen. iii. You can continue using your PocketCloud app as desired. iv. To open the backup screen again, tap the USB icon in the bottom right corner of the home screen. • Tap “Bridge WiFi” to connect your device to your standard WiFi, along with your PocketCloud WiFi. • Tap “Change Password” to change the WiFi password of your PocketCloud. • You will have to enter your old password as well as the new password. • Tap “Refresh” to reload the page you are viewing. 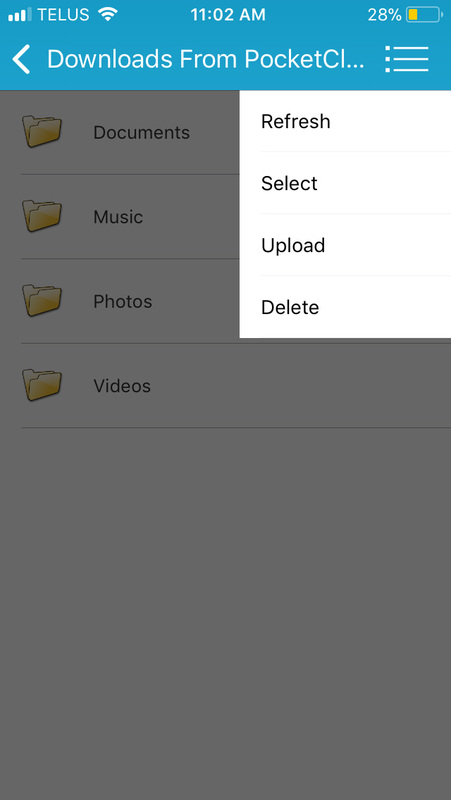 • Tap “Select” to select the files you want to delete or upload to the PocketCloud. • Tap “Upload” once you have selected all the files that you want to upload to the PocketCloud. • Once “Upload” is tapped, the files will save directly to the applicable folder on your PocketCloud. • Tap “Delete” once you have selected all the files that you want to delete from this folder. • You will only have the option to delete files from the “Downloads from PocketCloud” folder on your device. • Files that were saved to your device already must be deleted outside the PocketCloud app. • Tap “Copy” once you have selected all the files that you want to make a copy of and move to a different folder on your PocketCloud. • Tap “Cut” once you have selected all the files that you want to remove from the current folder and move to a different folder on your PocketCloud. • Tap “Rename” once you have selected all the files whose name you want to change. • This can only be done with one file at a time. • Tap “New Folder” to create and name a new folder on your PocketCloud. • Tap “Delete” once you have selected all the files that you want to delete from this folder on your PocketCloud. • Tap “Download” once you have selected all the files that you want to download to your device. • Once “Download” is tapped, the files will save directly to the applicable area on your device. • Tap “Connect Internet” to connect your device to your standard WiFi, along with your PocketCloud WiFi. • Tap “Clear Cache” to clear the PocketCloud app’s cache. • This is another way to reset the PocketCloud app. • Tap “Select All” to select all of the files in the folder you are in. • Tap “Create New Folder” to create and name a new folder on your PocketCloud or Android Device. • Once you have copied one or more files, tap “Paste” to move the file to the folder you are in. • Tap “Cancel” to deselect files that have been selected, or to cancel an action that you are in the middle of. i. Plug the micro USB end of the included micro USB to USB cable into the PocketCloud. ii. Plug the USB end of the cable into any USB charging port (ex. on a laptop, computer, wall adapter, etc). iii. The PocketCloud will automatically start charging. iv. The battery light (the leftmost light on the side of the PocketCloud) will flash green to indicate that the PocketCloud is charging. v. When thePocketCloud has finished charging, the battery light will be solid green. 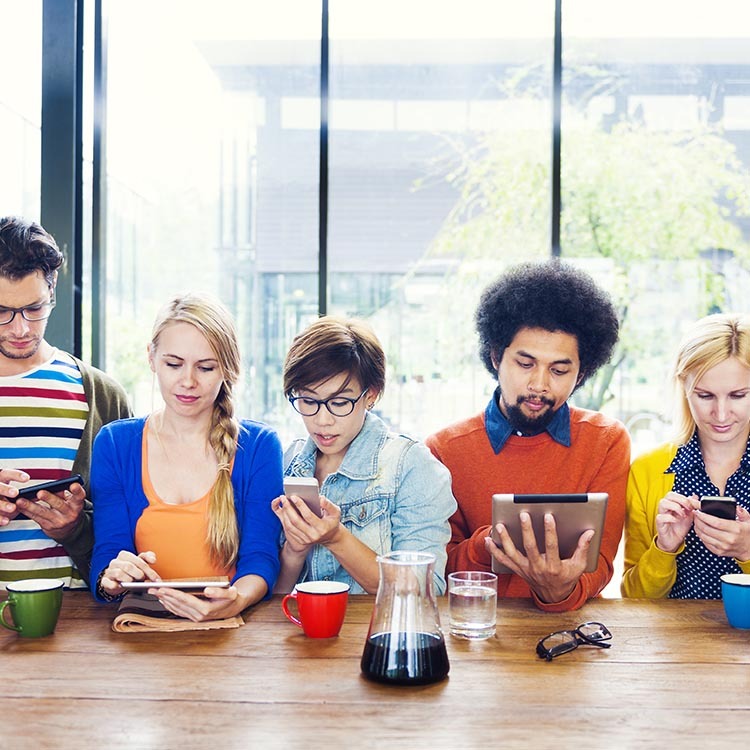 How many devices can connect to the PocketCloud simultaneously? The PocketCloud can connect to 7 different devices simultaneously. An example of how this could benefit you is if you are at an event where a group of people are all taking pictures. You could all connect to the PocketCloud and save your pictures to one folder. Then everyone could upload the folder onto their device and have everyone’s different pictures from the event. How do I reset the PocketCloud? • On the side of the PocketCloud there is a small hole. • Insert a paper clip (or another slim object) into the hole and press until you feel a click. Remove the paper clip. • Press the power button to turn the PocketCloud back on. How do I connect to the PocketCloud and stay connected to my standard WiFi? • Open the PocketCloud app. • Tap the menu button in the top left corner of the homescreen. Should I allow the PocketCloud to have access to the files on my phone or tablet? Yes. If you have the option to allow the PocketCloud app to have access to the files on your device or tablet, you should do this. If you do not, your PocketCloud will not be able to access these files to view them in the app or save them on your PocketCloud. What file types does the PocketCloud support? Where does the PocketCloud pull files from on my phone or tablet? The PocketCloud will pull all image, video and audio files from the different apps on your phone or tablet that store these types of files. For example: Podcasts will be pulled from the “Podcasts” app, photos will be pulled from the “Gallery” app, and more. If I save the files from my device to the PocketCloud, will they be deleted off of my device? No. The PocketCloud app creates a copy of the files you choose and saves the copy to your PocketCloud. The original files will all still be on your phone or tablet where you can delete them later if you choose. Can I delete files from my device through the PocketCloud app? No. To delete files from your device, you have to go into the app on your device that is storing the original files. I have connected my device to the PocketCloud's WiFi but my app is showing that I am not connected to my PocketCloud. What do I do? How do I change the password for my PocketCloud? • Tap the menu button in the top right corner of the home page. Can I use the PocketCloud with my phone or tablet while it's in Transfer Mode? While your PocketCloud is in Transfer Mode, you will be able to open the PocketCloud app on your device but you will not be able to use it. It will not function as normal and will not let you view the files that are saved on the PocketCloud. How do I switch between WiFi Mode and Transfer Mode?